The SC bench said however that since the January 11 order constituting a three-member SIT was passed by a bench of three judges, they cannot modify it while sitting in a combination of two judges. 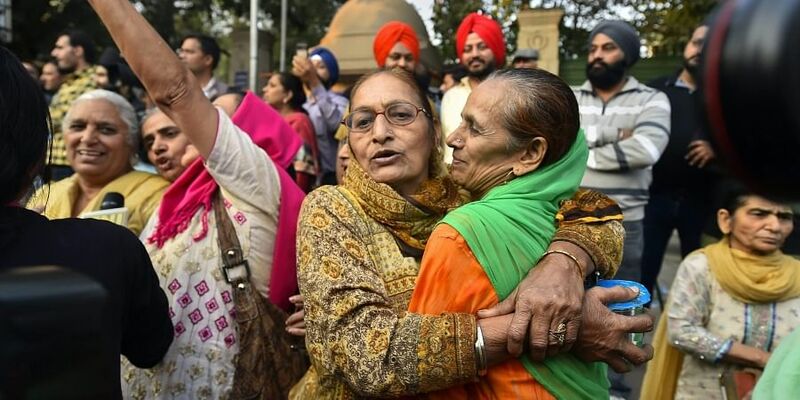 NEW DELHI: The Centre Monday told the Supreme Court that it may not be necessary to substitute retired IPS officer Rajdeep Singh who has declined to be a part of three-member SIT supervising further probe into 186 cases of the 1984 anti-Sikh riots citing personal reasons. The government told a bench of Justices Madan B Lokur and Deepak Gupta that they have no objection if the other two members of the special investigation team (SIT) -- former Delhi High Court judge Justice S N Dhingra and serving IPS officer Abhishek Dular -- continue with the work. The bench said however that since the January 11 order constituting a three-member SIT was passed by a bench of three judges, they cannot modify it while sitting in a combination of two judges. The bench has posted the matter for hearing tomorrow. Additional Solicitor General (ASG) Pinky Anand, appearing for the Centre, said she has no objection to the suggestions given by the counsel for the petitioner that the other two members should continue with the work. On January 11, the top court had constituted a three-member SIT headed by Justice (retired) Dhingra to supervise further probe into the 186 cases, in which closure reports had been filed earlier. Large-scale riots had broken out in the national capital in the aftermath of the assassination of the then Prime Minister Indira Gandhi by her two Sikh security guards on the morning of October 31, 1984. The violence had claimed 2,733 lives in Delhi alone. During the hearing on Monday, the ASG told the bench that they have suggested the name of former IPS officer Wasan to substitute Singh. "You cannot choose your own judge. Give two-three names," the bench told the ASG, who said that the apex court could appoint anybody to substitute Singh. Senior advocates R S Suri and H S Phoolka, representing the petitioner, said appointing a third member in the SIT might delay the process and the other two members should continue with their work. The top court had earlier appointed the three-member SIT after the Ministry of Home Affairs and counsel for petitioner S G S Kahlon arrived at a consensus with regard to the persons who could be appointed in the fresh SIT. The court had earlier said the previous SIT did not carry out a further probe into the 186 cases in which closure reports were filed, and had directed setting up of a fresh SIT comprising a former high court judge and two police officers. As the judge of the trial court, he had dealt with many of the 1984 riot cases, and his verdicts had resulted in a conviction in 16 cases. On August 16 last year, the apex court had appointed a supervisory panel to examine the earlier SIT's decision to close 241 cases. The Centre had said that out of 250 riots cases which were probed by that SIT, closure reports were filed in 241. It said some cases were still being investigated by the SIT, and two by the CBI. Petitioner S Gurlad Singh Kahlon had earlier told the bench that a total of 293 riot-related cases were taken up for scrutiny by the earlier SIT which had decided to close 199 of them. Kahlon, a member of the Delhi Sikh Gurdwara Management Committee, had sought the court's direction for setting up another SIT to ensure speedy justice to the riot victims.